 the Latin-tinged blockbuster that earned Thomas three Grammy Awards and spent 12 weeks atop Billboards Hot 100 chart. VNUE, Inc., our sister company, and DISCLIVE, are very excited to be working with Rob again in 2019 on three sold out shows at the Borgata in Atlantic City, NJ, producing and releasing high quality full-show recordings of each performance, available immediately after each show via the set.fm mobile app and the set.fm website, as well as NEW for this year - limited edition numbered CD sets via the disclive.net website.! Proceeds of each sale benefit Rob's Sidewalk Angels Foundation, which provides critically needed funds and support to no-kill animal shelters and rescues across the country. NEW THIS YEAR - LIMITED EDITION, NUMBERED COLLECTIBLE CD SETS! Only 500 per show will EVER BE OFFERED so reserve your copy now, and either pick it up at the show you attend, or we will ship it to you worldwide! 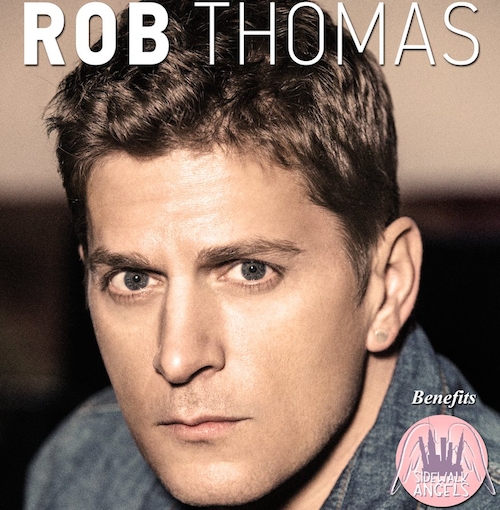 For DIGITAL ONLY (no physical product) you may order HERE: https://set.fm/artists/rob-thomas.